The Union of European Football Associations (UEFA) experts first visit has begun on Monday in Warsaw, regarding the arrangement of championship of Europe in 2012. “UEFA divided the whole complex of preparations into eight classes. The current visit relates to land transport, air transport and accomodation” – informed the chairman of PZPN unit for Euro 2012 Adam Olkowicz. The remainig classes are health security, security, PR, promotion and marketing and sport infrastructure, that is stadiums and residence centers. UEFA wants to visit Poland regarding all the classes by the end of the year. On Monday and Tuesday the UEFA eksperts, who came to Poland from Ukraine, will find about the situation in Warsaw. On Wednesday they will be in Poznań and on Thursday they will be in Wrocław. They plan a separate visit in Gdańsk, on November 19. “UEFA experts are prominent specialists in their fields. They will meet cities representatives and will learn about the current state of preparation and plans. I can tell, that we will experience much good-will from their side” – said Olkowicz, who stressed, the city representants are very well prepared for UEFA delegation. 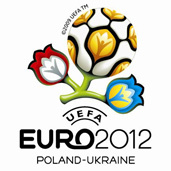 Poland and Ukraine will organize together the championship of Europe in 2012. In Poland the games will take place in Warsaw, Poznań, Wrocław and Gdańsk. Chorzów and Kraków will also compete for permission to host the championship.